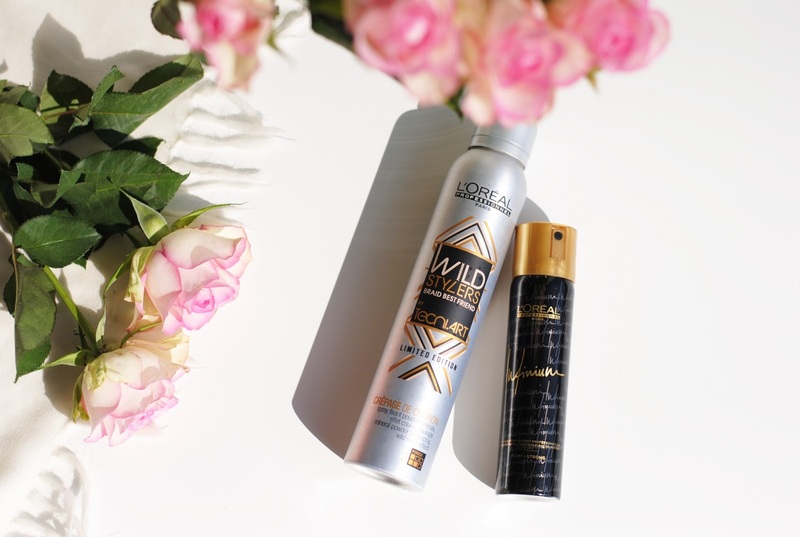 The Wild Stylers Crêpage de Chignon by Technic.Art is a mineral powder fixing spray. This spray promises a wild effect and lots of volume. 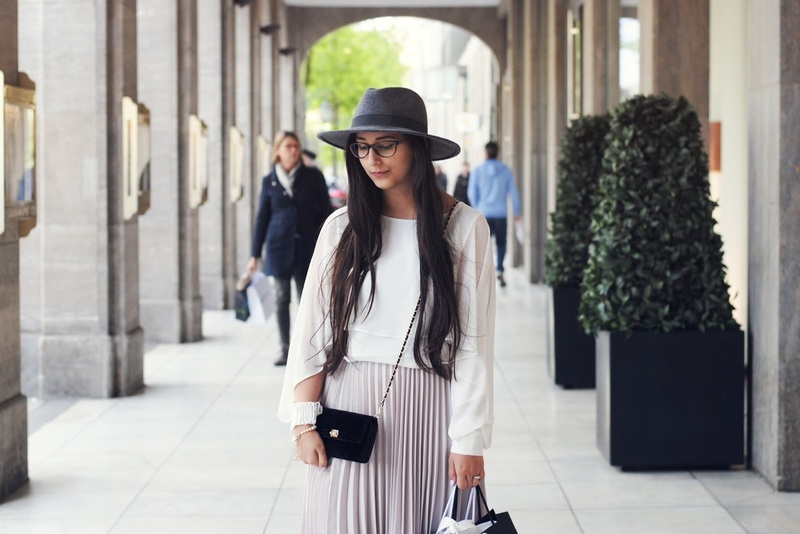 I love my Balmain volume spray, but this one is pretty good too! 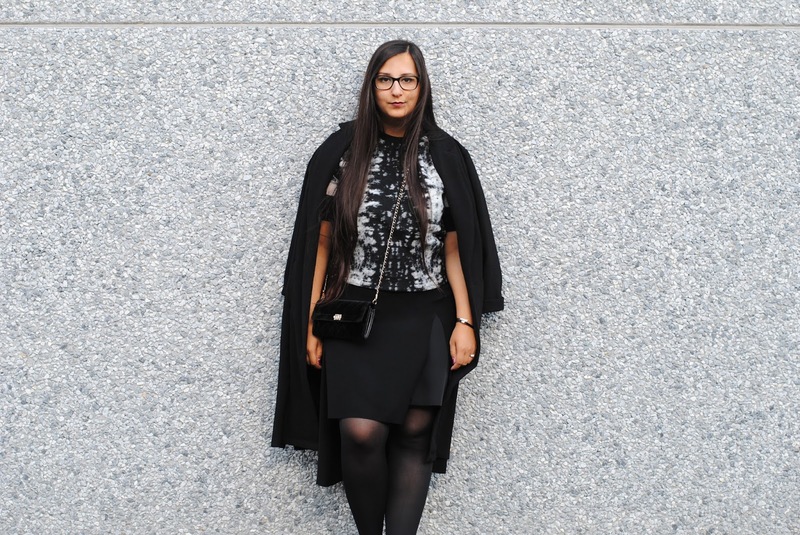 What I like even more about this one than Balmain is that it doesn't feel greasy at all. It feels completely natural. 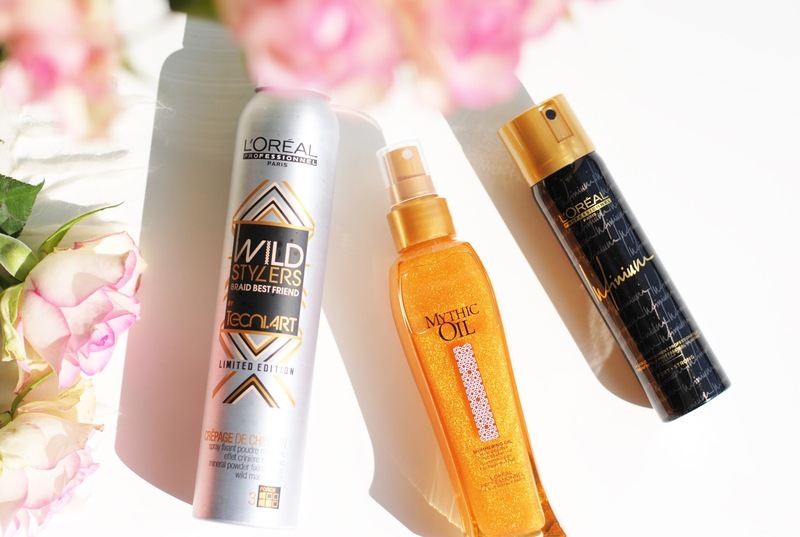 With long flat hair like mine, a good volume spray is a must. My favorite hair spray is from Redken, it could hold a house. But Redken hair spray is not the cheapest, so for everyday use I needed a more budget-friendly alternative. 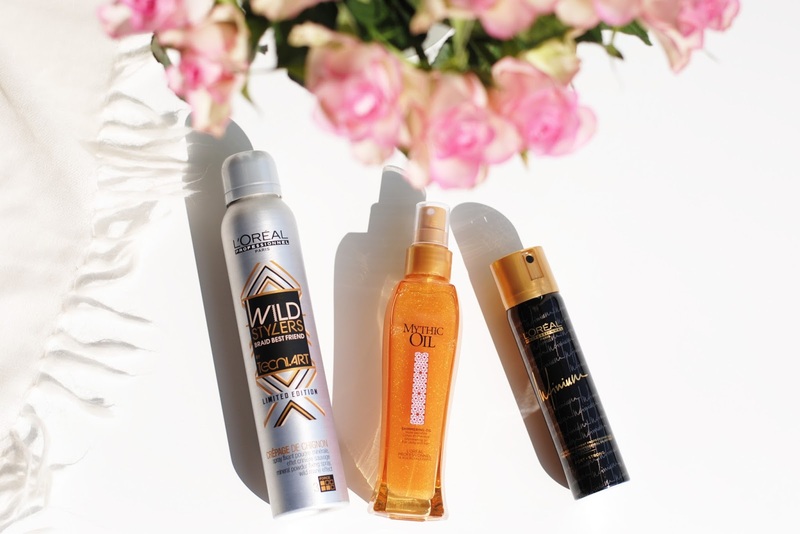 I tried the L'Oréal Professionnel Paris Infinium and it's good! I like it more than the classic Elnett. Elnett is great for some light fixation, but this one is much stronger. 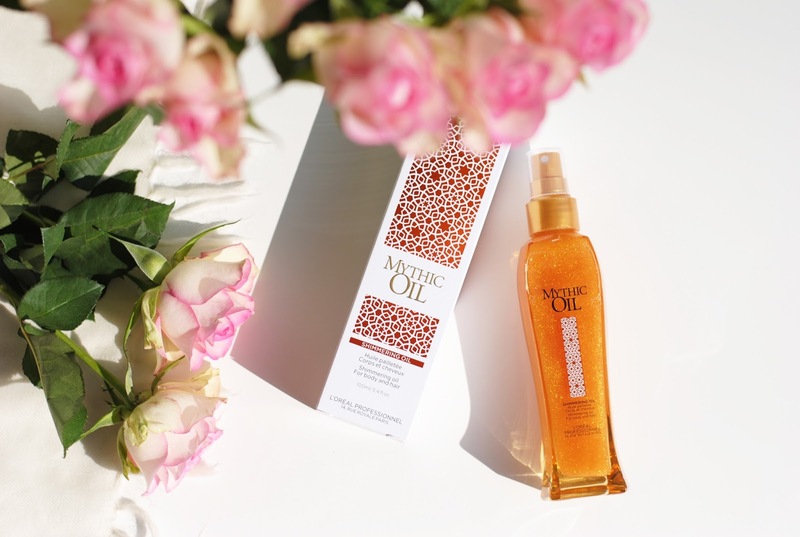 The Mythic Oil is a hair oil (to illuminate your hair), but also a body oil. 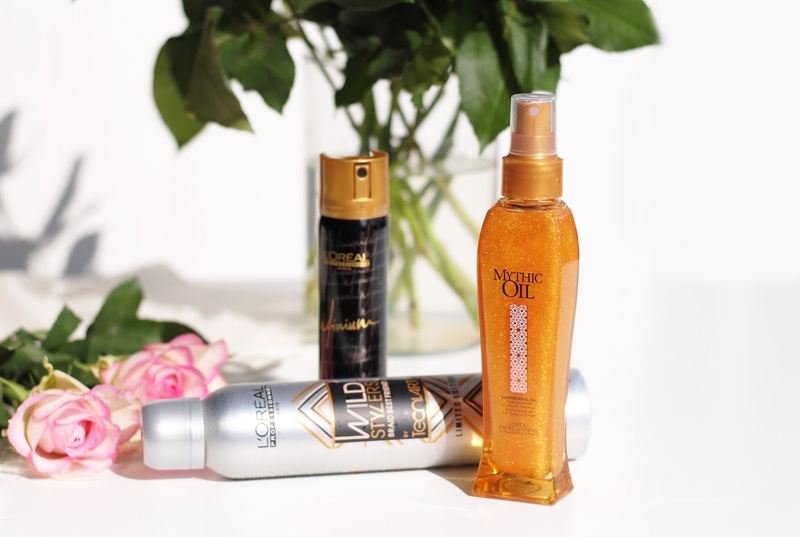 It has different versions, and this one is the shimmering oil. 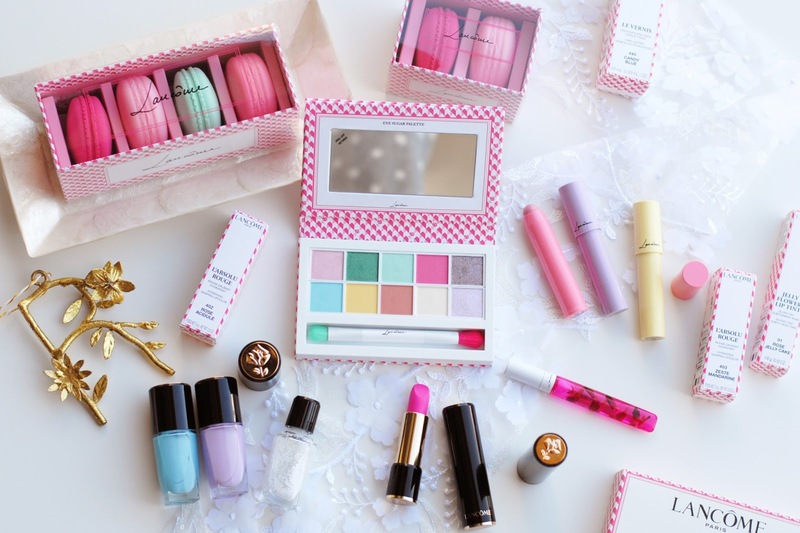 Shake the bottle, and all the shimmers are released. It has such a cool effect in the bottle. 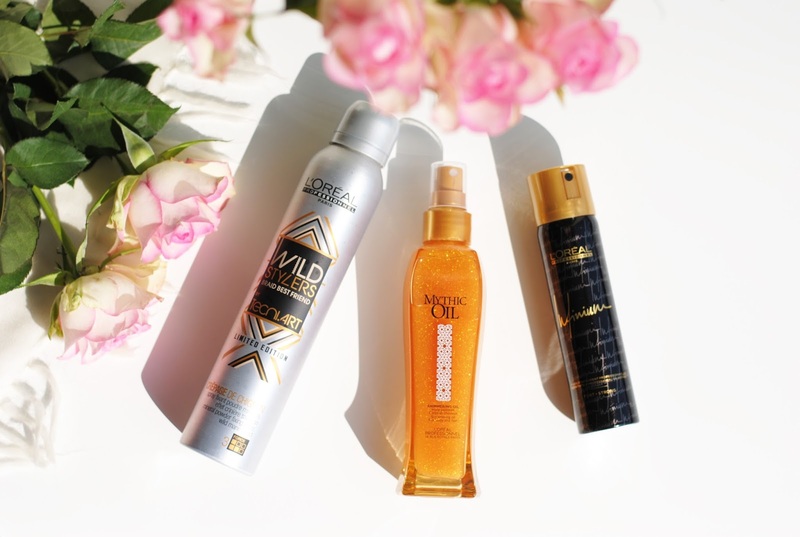 The shimmers are more noticeable on skin than on hair. On the swatch above I sprayed once and didn't massage it in so you can see the amount of shimmers. 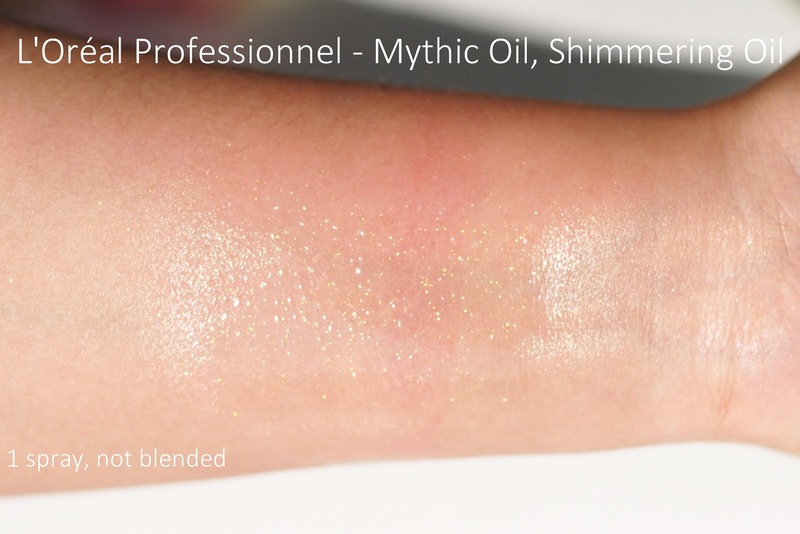 When you massage the oil into your skin, the shimmers will still be visible but they're more spread out so it's not too much (as you might think seeing the swatch). The oil leaves my skin feeling smooth and it also smells nice, but quite strong and can become a bit overwhelming if you use it often. Big chance I will re-buy the hairspray because it's not expensive at all and fixates well. 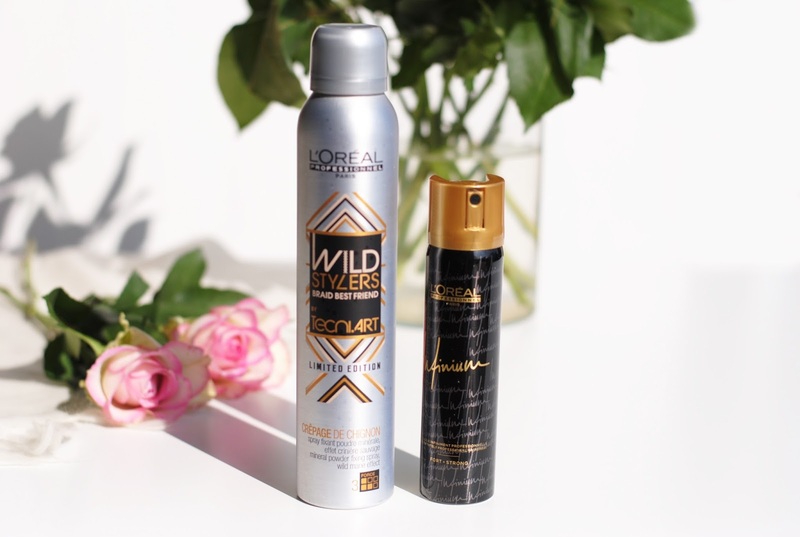 I like the volume spray as well, but there are so many other volume sprays that I want to try a few more. And I won't run out on Mythic Oil very quick, a little goes a long way here! 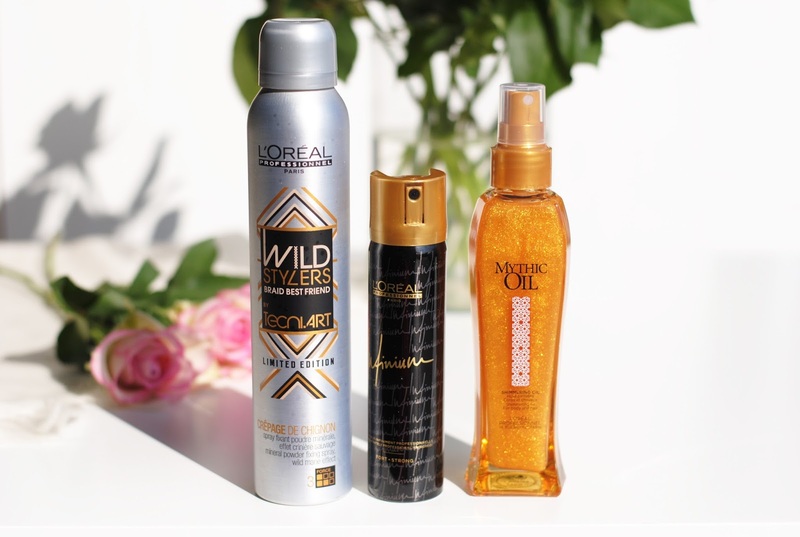 Do you have anything from L'Oréal in your haircare routine? 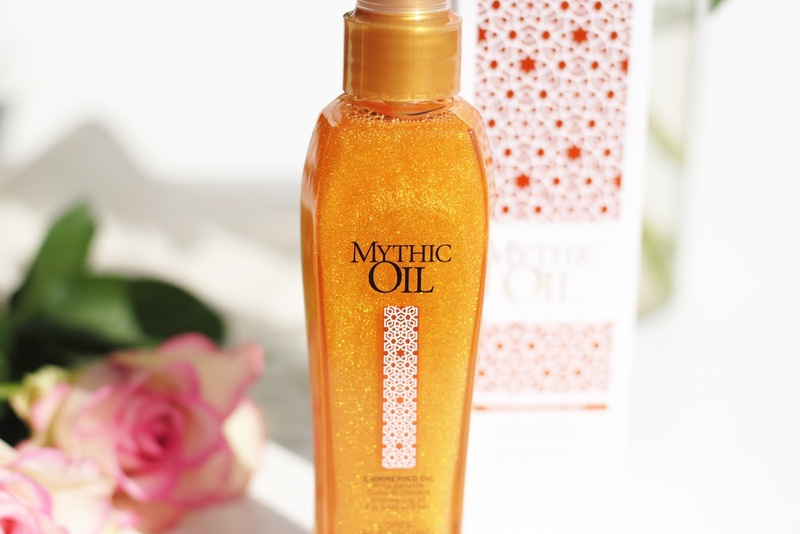 Really love the look of the Mythic Oil. It's so pretty and it'ssomething I haven't seen before! 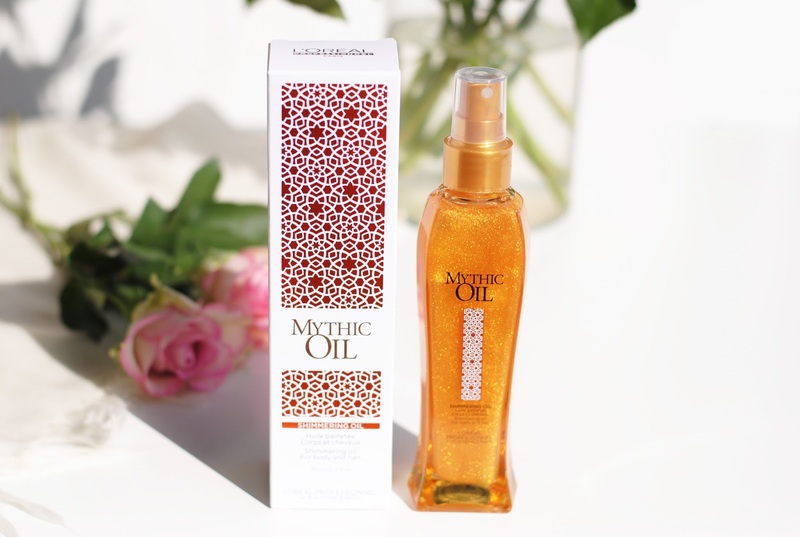 Ooh Mythic Oil ziet er fantastisch uit!